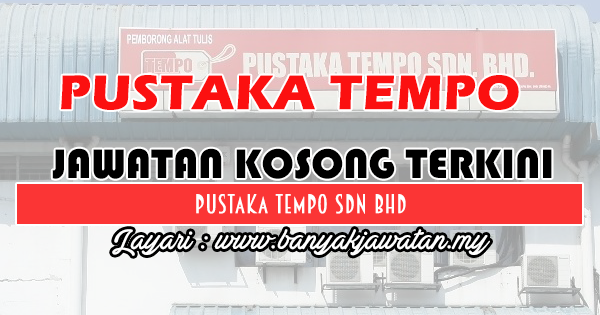 Pustaka Tempo Sdn Bhd established in 2007. Our prices are competitive and we value long term business relationship with our clients. Our main business is office and school stationery supplies. We are also retailer for paper, printing and stationery. We are currently intended to expand our business. We are looking forward an Inventory Clerk with 1 year experience working in similar environment. 0 Response to "Jawatan Kosong di Pustaka Tempo Sdn Bhd - 11 Oktober 2018"